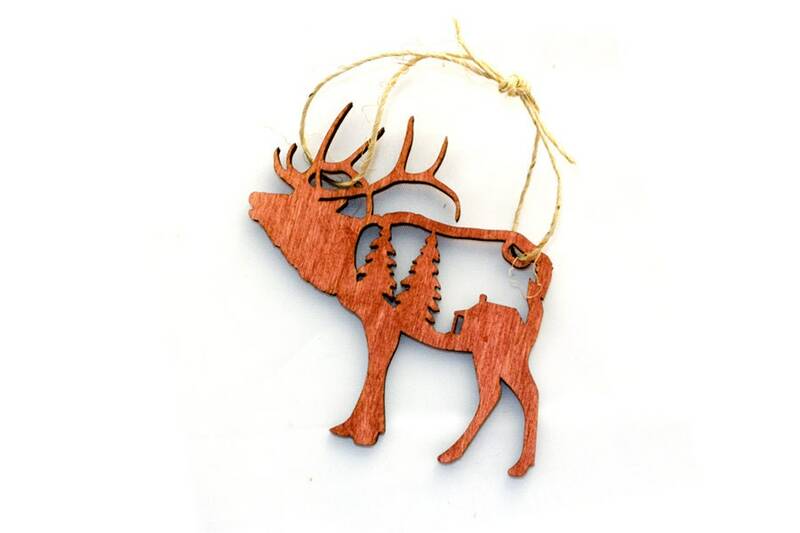 Have a rustic elk on your tree with this cute laser-cut wood ornament! The ornament has an inset cabin and pine tree scene. These wood pieces make beautiful and unique gifts. This item is approximately 4 inches x 4.25 inches.